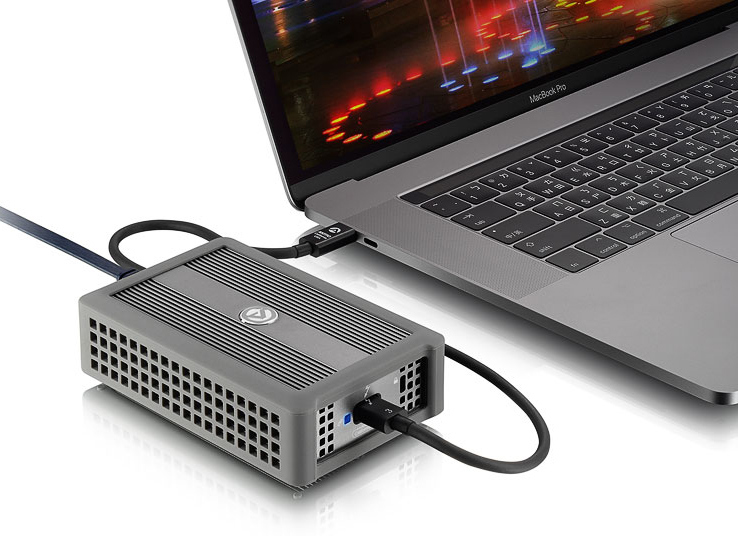 AKiTiO has quietly begun to sell its Thunderbolt 3 to 10 GbE network adapter, which it first demonstrated at Computex 2017. The device is based on a 10 GbE solution from Tehuti Networks and is compatible with both Macs and Windows PCs. Priced at just under $300, AKiTiO is selling the adapter directly as well as through Amazon. 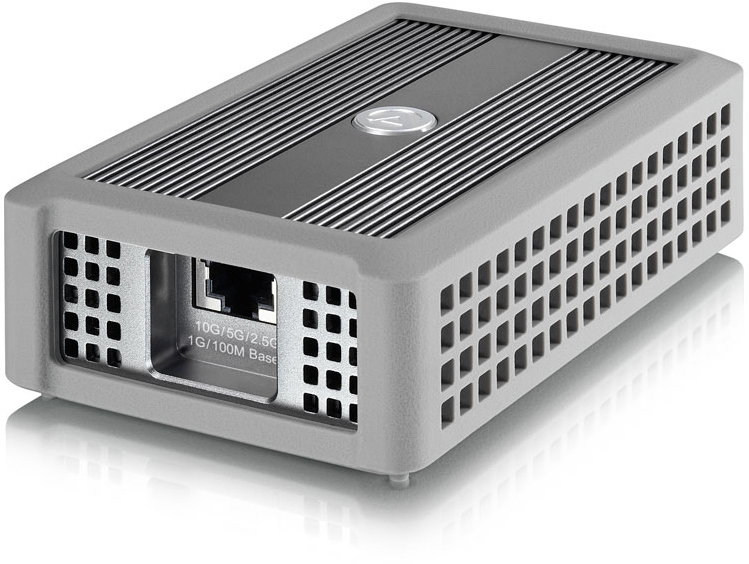 As described back in June, the AKiTiO Thunder3 10G (T3NA-T3LNITY-AKT) network adapter supports five speeds, including 10GBase-T as well as NBase-T, allowing it to work not only with corporate 10 GbE networks, but also with upcoming 2.5GBase-T and 5GBase-T networks primarily aimed at small businesses and consumers, as well as existing 1 GbE and 100 M networks. The device itself is a relatively small rugged box made of aluminum for better heat dissipation and featuring rubber pads on its sides for further protection. The adapter is bus-powered, it only has one 10 GBase-T port, a Thunderbolt 3 header, as well as an opening for a security lock. Unlike many other TB3 devices, this one does not have another TB3 connector to daisy chain it with other TB3 appliances, perhaps to reduce development and BOM costs (more on this later), or address security concerns of certain clients. Theoretically, it should be possible to plug the Thunder 10G network adapter at the end of a Thunderbolt 3 daisy chain after a display and a DAS, but AKiTiO does explicitly list this as supported. 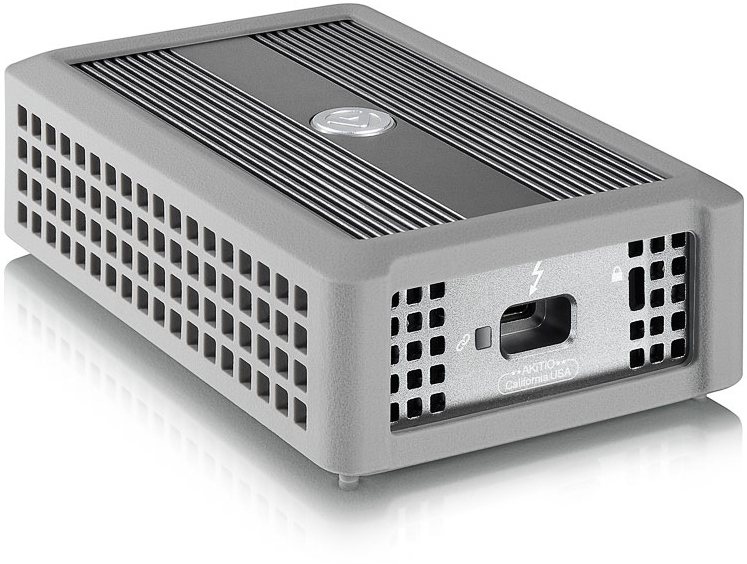 The AKiTiO Thunder3 10G (T3NA-T3LNITY-AKT) is based on Tehuti Networks’ TN9710x-TB3 reference design for Thunderbolt 3 to 10GBase-T/NBase-T network adapters. This reference design is intended to minimize the number of chips and components required: it carries Tehuti’s own TN4010 MAC, Marvell’s Alaska X 88X3310P 10 GbE transceiver, Intel’s DSL6340 Thunderbolt 3 controller (which is why daisy chaining is not supported), Texas Instruments’ TPS65983 USB Type-C and Power Delivery (PD) controller, as well as an essential set of power and other ICs (integrated circuits). AKiTiO already uses Tehuti’s designs for its Thunder2 10G network adapter as well as its 5-Speed 10G/NBASE-T PCIe network card, so the decision to go with this partner was logical. Apart from developing chips and reference designs, Tehuti provides unified drivers for them and having one driver for all three products greatly simplifies their support. Speaking of drivers, the Thunder3 10G is compatible with macOS 10.12.5 and above, Windows 7 and Windows 10. AKiTiO’s Thunder3 10G is now available directly from the company as well as from Amazon for $279.99, which is below MSRP of most Intel-based 10GbE add-on cards. Considering the fact that the latter are generally aimed at servers and high-end workstations (and therefore come with appropriate features and software stack), this is not really surprising. In the meantime, it is noteworthy that the Thunder3 10G costs $120 less than the Thunder2 10G ($399.99), a clear indicator that 10 GbE hardware in general is getting more affordable. Maybe it's just me, but I caught myself nodding along like it made sense, but then I took step back and thought, "Wait, what?" >The expense doesn't come from being able to communicate at 10Gb/s, it comes from being able to do so over long distances. It seems here that you're insinuating that 10GbE is more expensive due to cabling, rather than the actual 10GbE integrated circuit at both ends of the cable enabling that throughput. As a reminder, 10GbE over twisted pair copper will work even with CAT 5e cabling, assuming the run is like a few feet. CAT6A quality cabling is what's "approved" for 10GbE. 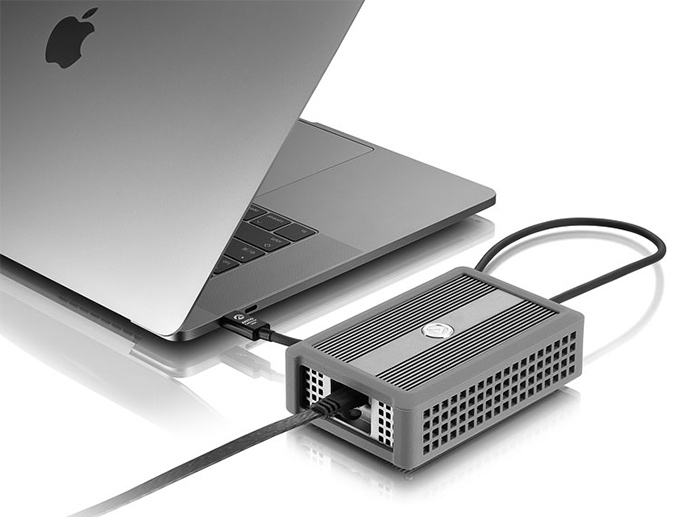 Given that this product assumes the user already has a 10GbE network, that assumes the user also has good ethernet cabling that enables that throughput, so then there shouldn't really be anything that the product itself (the 10GbE thunderbolt 3 adapter) cares about long distances since the included short thunderbolt 3 cable is what is expected to push that data through to the PC, and given the short run, there really shouldn't be any issues. You're not making a lick of sense, either. So what are "cheap passive cables"? Well intuitively, active cables are optical fiber SFP+ cables where active electronics at both ends of the cable have to decode the light signals into electrical signals for the port. "Cheap passive cables" are essentially 10GbE-BaseT, in other words, traditional twisted pair copper ethernet cables. Again, there's this insinuation that "it's expensive because we need to push a signal over long distances over copper", when the distance that ethernet frames/packets can be pushed over a cable is completely up to the quality/length of the cable run itself, this NIC just pushes the data over the cable.